There’s still three months until Christmas Day, but many high street stores are beginning to roll out their seasonal stock already. While some shoppers might roll their eyes at what they believe to be premature festivities, it’s possible to save huge amounts of money by preparing for Christmas early. 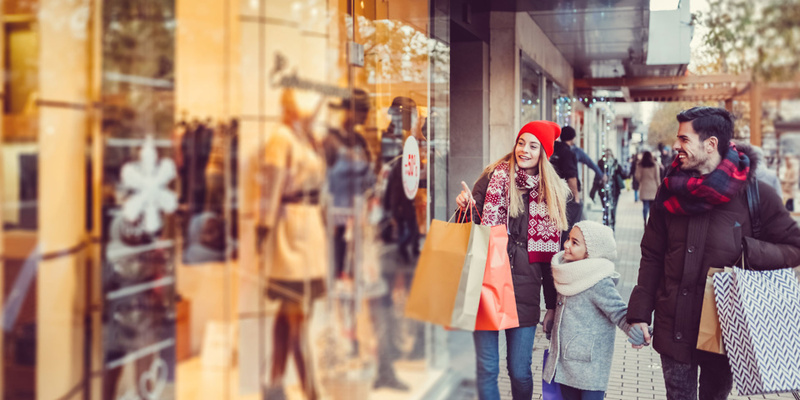 As you’ll see in the following 17 money-saving tips, the main benefits of starting your Christmas shopping now is that you’ll find it much easier to land a bargain. You’ll also have time to take advantage of a number of effortless money-making opportunities. This is the simplest, yet most effective tip to help you control your Christmas spending. By writing down how much you plan to spend on presents, food etc, it becomes much easier to resist impulse spending on unnecessary extras. If you’re planning to visit friends and family by train over the festive season, you’ll save loads of money by booking them soon. Advance train tickets cost far less than those bought on the day of travel, and the cheapest tickets typically go on sale 12 weeks before the day of the journey. This Sunday marks the 12-week countdown until Christmas Eve. A 0%-on-purchases credit card is a useful tool for those who want to spread the cost of Christmas over a longer period. These cards charge no interest on purchases for an initial period, which in the current market could be as long as 32 months. We’re certainly not advocating borrowing money to fund your Christmas spend. But if you do want to spread the cost for a little longer, make sure you pay off the entire balance before the 0% period ends, as the APR will rocket thereafter and you’ll have to pay interest on any remaining debt. The Which? Money Compare credit card tables let you search hundreds of cards from providers large and small to choose a great deal based on quality of service as well as cost and benefits. Alternatively, if you don’t feel the need to borrow money to pay for Christmas, you might prefer to shop using a credit card that rewards you for spending. Cashback credit cards reward you by crediting a percentage of spending back onto your card. Other reward cards will let you build up points that can be exchanged for retail vouchers or air miles. Again, it’s vital to pay back what you’ve borrowed at the end of the month, otherwise the interest your spending accrues may wipe out the rewards you earn. Before you purchase festive goods online, check whether the retailer is listed on a cashback site like Quidco or TopCashback. If you click through to the retailer from these websites, it’ll reward you with cashback (usually a specific percentage of your spending). The best way to ensure your cashback website referral is tracked correctly is to delete your internet cookies before clicking through the retailer. You may also be able to earn cashback from retailers through your bank account. Read our story on the latest cashback deals offered by some of the UK’s biggest banks. You can avoid paying full price for online goods by hunting for discount codes. One simple way of doing this is searching for the retailer’s name followed by “discount codes” on Google. Alternatively, download the Google Chrome plug-in ‘Honey’, which will scour the web for discount codes and alert you when there is one available for the retailer you’re browsing. Bear in mind there are hundreds of retailers that let you spend Sainsbury’s Nectar points or Tesco Clubcard points instead of cash. Many retailers will allow you to multiply the value of these points when spending with them too. Lots of people like to store their loose change in a jar or piggy bank and spend their savings on Christmas shopping. Those who do this might want to spend their change soon, as old-style £1 coins cease to become legal tender on October 15. Many banks are offering switching incentives to tempt new customers to their current accounts. If you were to switch accounts now, you should have the bonus in your account in plenty of time to spend it on Christmas shopping. On Black Friday, hundreds of shops drop their prices to kick off the Christmas shopping season. This year, it falls on 24 November. Which? will round up the best deals on offer, from cut-price coffee machines to newly reduced tablets. Which? 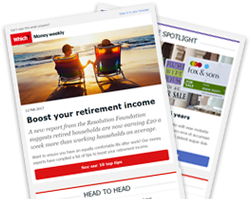 has reviewed thousands of products to help our members ensure they get value-for-money on their purchases. Click the link to try Which? for £1 and get unlimited access to all member content on which.co.uk, including our Best Buys and Don’t Buys. If you’re planning to do much of your shopping online, consider signing up for a trial of Amazon Prime. The service promises unlimited one-day delivery, saving you on delivery fees and guaranteeing quick service. A subscription normally costs £79 per year or £7.99 per month – but you can currently take out a 30-day free trial, with the option to cancel any time. Every year, Which? tests out the best champagne and prosecco available on the market – but you don’t have to spend big to get top-shelf quality. Find out how to save on your Christmas lunch by finding the best drop for the lowest price. Whether it’s three copies of the same book or a home gym that’s gathering dust, we’ve all received Christmas gifts that went unappreciated. If you have items you no longer want that are still in good condition, you may be able to sell them on eBay or other trading sites. Just be aware of online scams and make sure you receive payment before sending anything away. Spoil your loved ones this Christmas by snapping up a bargain at a flash sale. These online events are generally announced by brands at short notice and can offer discounts of up to 85%, though stocks are generally limited. Flash sale websites like Cocosa and The OutNet will alert you to upcoming sales – but make sure you’re dealing with a legitimate retailer before buying online. While Royal Mail remains one of the cheapest options for sending cards or letters, you may be able to get better rates on parcel delivery. When sending care packages to far-away family this Christmas, shop around to find the best rate on your parcel delivery service – discount courier services may offer you a cheaper rate. But check your rights if the parcel goes missing or is damaged, and whether you need additional insurance.